I have had migraines since I was 18 years old and have had at least one a week since I was in my late 20’s. I am now 44. I have also suffered from anxiety and depression at times, often linked to when I got into a chronic phase with migraine (15 or more days a month with headache or migraine). I have taken countless drugs which I know do more harm than good, but I felt I had no choice. I have always had a tool kit approach to managing migraine which means that I draw upon different ways to reduce or manage them. I am on a strict gluten and lactose free diet and follow the Stanton Hydration Protocol method for migraine too. 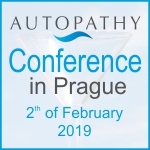 Autopathy has been an invaluable tool to add to my kit. I started with prana. Wow, it worked on my emotions so quickly. Pop ups came which I found hard to manage at first as the emotion was quite intense. Then it cleared and I felt so calm and “centred”. Every time I did prana, my awareness of the world heightened. It was like an “in love” feeling! I found myself dancing around the kitchen with my children, laughing! A big contrast to how I normally acted or felt. Then I moved onto saliva and then poo. This was because I have had issues with my gut, since I was a young girl. Again, pop ups came and went, often intensifying physical sensations that I had experienced before like constipation and bloatedness. They never lasted long. I have kept a diary of my migraines and how I have treated them since starting autopathy. Gradually migraines went from 2 a week to one a week to one every 14 days and now I can go a month without one. When I do get one, it’s more of a headache than a migraine, associated with my hormones. Amazingly, I have not taken any migraine drugs for 6 months now……I can get rid of headaches/migraines with paracetamol or nurofen. I find that I can drink alcohol again which is something I gave up years ago. I have also found that I can now have lactose free cow’s milk which I hadn’t been able to before autopathy. I do believe that having a multifactorial approach to managing migraine has been vital in my success in managing this condition but I feel sure that autopathy has helped me return to what feels like a normal life! I don’t define myself by having migraines or anxiety now and excitingly, I feel I can take risks with food and drink, taking more work on and living a full life!